Open to all Post 541 members, persons who would like to become members of Post 541 and all members of the 1st District. Dinner and 4 drinks free to all paid up Post 541 members and persons who pay their dues (or become members) that night. Non members of Post 541 will be $5.00 per dinner. RSVP Today! Special thanks to the Continental Fire Dept for cleaning the street in prep of Memorial Day. BIG HALL RENTAL AVAILABLE ! With up to 350 people capacity, it is perfect for weddings, graduations or any other special occasion. Call 419-596-3560 to set up an appointment to view our facility. NEW CUB SCOUT PACK ! The Sons have chartered a new cub scout pack in Continental. Contact Todd for more info at 419-796-9454. Drawing is over $10,000.00. Drawing each Tuesday at 9pm. Drawing is over $700.00. Drawn Tuesdays with the 541 drawing. *Last day to pay dues for 2019 is April 15th. The Largest Veterans' Service Organization. Serving Veterans, Families & Communities. Proud Possessors of a Priceless Heritage. Ten Counties in Northwest Ohio. State headquarters of The Am Legion in Ohio. 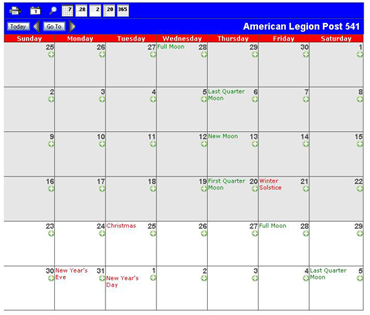 Legion Riders is a Program of The Am Legion.